Unit NB1, Marsh Farm, Marsh Road, Hilperton, Trowbridge BA14 7PJ. 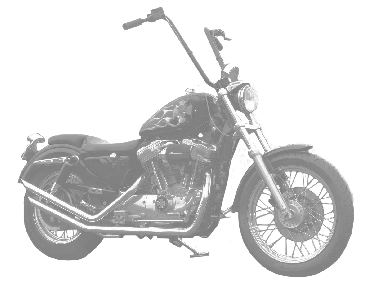 Lightning Services specialise in the service and repair of Harley Davidson and Buell motorcycles mainly for owners in the Wiltshire, Somerset and Gloucestershire areas. 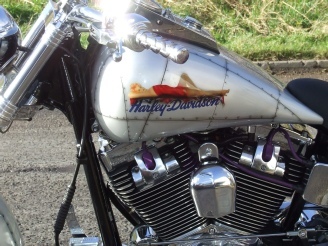 We also offer Full and Part Restoration of classic motorcycles of all makes and Full and Part Customisation of mainly but not exclusively Harley and Buell motorcycles. What makes a restored or custom bike really stand out is the same thing - those finishing touches. From the wheels upwards we can refinish just about every part of your bike. NEW! 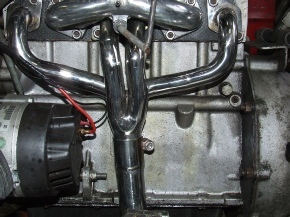 Plasma Arc Ceramic Coating for Exhaust Headers, Mufflers & Engine Components. Why stop there? Call us on 01225 785164 or use the Contact Form for details. We have established trusted working partnerships with experts in the fields of motorcycle paintwork. From minor accident damage repairs to a full change of colour respray in a deep lustrous finish we have the people with the skill and dedication to repaint your bike. Reproduction standard classic paintwork including traditional hand pinstriping or mild to wild custom paintwork for your custom bike project. All this is on offer from our paintshops. Its not just wet paint either. We have a long established partnership with an automotive specialist powder coat refinisher. These guys know what they're doing. See the Paint and Powdercoat page for details. There's nothing that catches the eye more than shiny motorcycle parts. 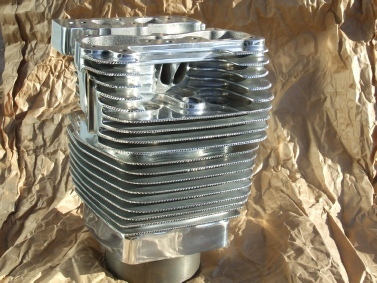 We all love the shiny chrome plated or stainless steel parts on our motorbikes and for a different colour nothing beats polished aluminium parts. We have teamed up with specialist automotive platers and polishers to be able to offer owners chrome, nickle, copper and bright or dull zinc plating as well as polishing for those stainless steel, brass and aluminium parts. See the Polishing and Plating page for details (under construction). For the Ultimate custom look we have teamed up with the only European provider of Diamond Profiling for motorcycle parts. 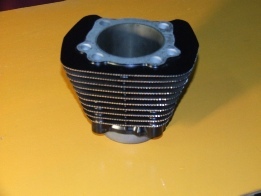 For cylinder and head fins or even wheels this contrast cut diamond profile is the ultimate custom finishing touch.